The teaching of this passage is and always was something of a challenge to the members of the church who are in leadership positions. As usual, Mark locates the teaching as a response to the prediction of Jesus’ death and resurrection and that remains the literary context. At the Markan level, the social context, however, is likely to be the emergence, even in the early church, of styles of leadership at variance with the practice and teaching of Jesus. Mark, in response, makes an explicit link between leadership in the church and the mission and destiny of Jesus. It is very likely that this scene is substantially historical, for two reasons. First of all, the later version in Matthew “protects” the reputation of James and John by portraying their mother as making the embarrassing request!? In other words the early church was uncomfortable with such an unflattering portrait of significant apostles. Secondly, it portrays Jesus as not being able to do something. The tendency of the New Testament as a whole is to increase the power and authority of Jesus. Any story bucking that trend is also likely to be historical. As before, this passage has a wider context on Mark 8-10 and a narrow context after the Passion Prediction in 10:32-34 (not included in today’s reading, but inserted above for convenience). The arguments are carefully laid out in the manner of a chreia or anecdote, which explores the core values of Jesus. See overleaf for the train of thought. Verse 35 The demand is extraordinarily “open” and manipulative. They want a “yes” before the specifics, even though James and John belong to the inner circle. In Mark’s narrative, this takes place after the Transfiguration. Verse 36 An equally open response. Verse 37 The language is apocalyptic. However, in Mark “right and left” next occur at the crucifixion, which is surely an intended irony. Verse 38 None of the disciples really “knows” until after the resurrection. Cup is a metaphor for consequences that must be accepted. Verse 39 The imagery tells us that the destiny of Jesus is a fulfilment of his baptism by John. Here, Mark looks forward to the time of the church. In later Christian reflection, baptism was used for martyrdom (Tertullian, On Baptism 16; Anon, On Re-Baptism, 15; Origen, Commentary on Matthew 16. 6; Cyprian, Epistle 53. 4). Verse 40 They disciples are unabashed; Jesus confesses powerlessness, which sounds historical (see above). Verse 41 That they are angry is ironic, given their very own misunderstandings. Verse 42 This would be very obvious from the local and national exercise of power in the Roman Empire. Verse 43 The gospel reverses the value system of the world. There is indeed to be leadership in the Church, but it must be exactly the opposite of worldly power and glory. Verse 44 This is borne out in the language of early Christianity. Verse 45 A theological conclusion: discipleship must be based on the destiny of the master. It is important not to read later Western theories of redemption back into the phrase “for many.” A text of the time of Mark, talking of martyrdom, speak like this: These, then, who have been consecrated for the sake of God, are honoured, not only with this honour, but also by the fact that because of them our enemies did not rule over our nation, the tyrant was punished, and the homeland purified—they having become, as it were, a ransom for the sin of our nation. 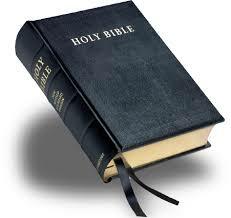 (4 Mac 17:20–21) In Aramaic, many is in contrast to few not to all (as in English). 1. Jesus had spent much time teaching his followers that discipleship was a life of service, a life giving oneself for others. In spite of that, James and John were thinking of what they could get out of it. For Jesus, for the apostles, and for each one of us, the glory of God is revealed when we allow God to work through us as we give ourselves for others. When have you found that you reach a fuller life and others benefit when you act in this spirit of service? 2. One of the great problems in a community, a parish or an organisation, is when you have some people jockeying for status and positions of power. The good of the group and the people it serves take second place to personal prestige. You have probably seen this happen. Perhaps you have also witnessed people with a spirit of service that allowed them to value the good of the group over personal rewards. Recall them and give thanks for their witness. 3. Jesus himself is the great model of this spirit of service. Think of the aspects of Jesus’ life and ministry that have inspired you to imitate his giving of his life for others. Most glorious God, in Jesus you show us that your will is to save. Grant to us your people the boldness to desire a place in your kingdom, the courage to drink the cup of suffering and the grace to find in service the glory of your promise. Amen.